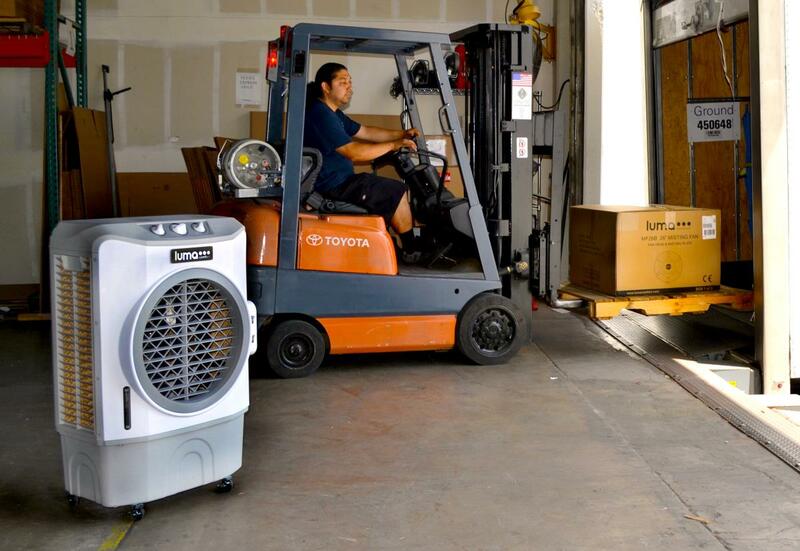 Keep The Air in Your Home, Industrial Warehouse or Any Area Cool For a Lot Less with This Amazing Portable Commercial Evaporative AC/Air Cooling System! 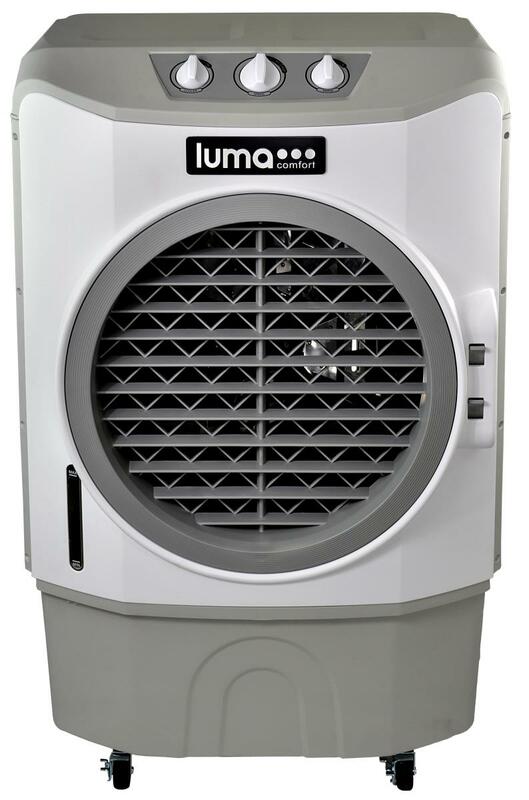 Here We Offer One of the Best Indoor and Outdoor Swamp Coolers, with Powerful 1650 CFM Output & Easy Controls, For Sale at a Cheap Discount Price with Free Shipping! 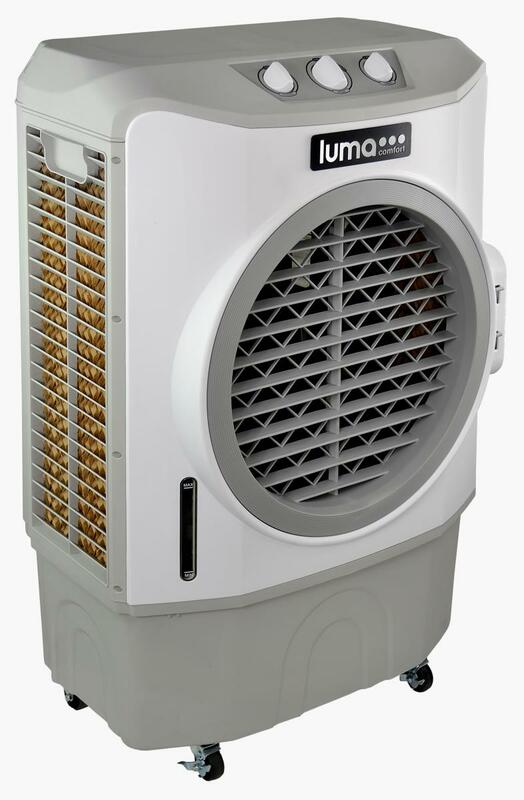 The Luma Comfort EC220W Indoor/Outdoor Evaporative Cooler air conditioner works without a compressor, yet cools the air in your home or workplace naturally without using any harmful coolants or chemicals. 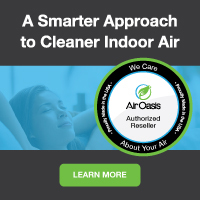 This maximizes efficiency and keeps your cooling costs low. 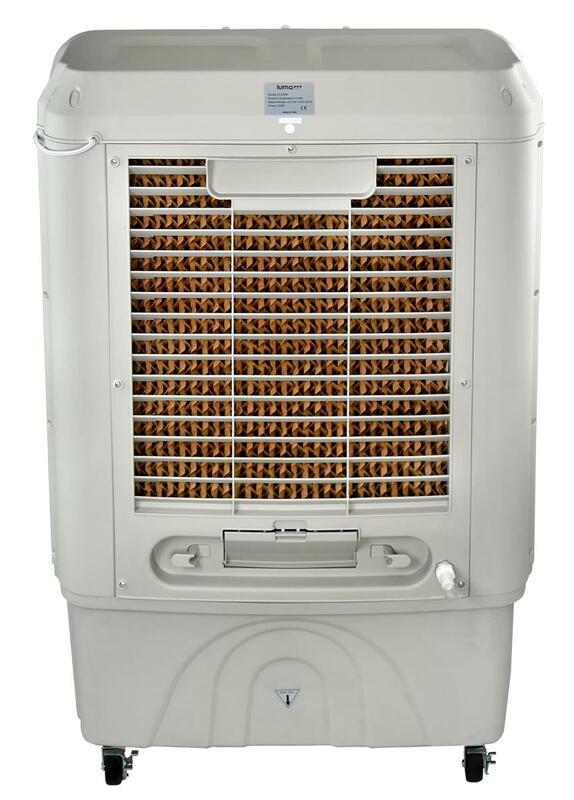 And with a coverage area of up to 650 square feet, this evaporative cooler is truly designed for heavy duty cooling. It's the ideal spot cooling solution for warehouses, factories, decks, patios and athletic fields. 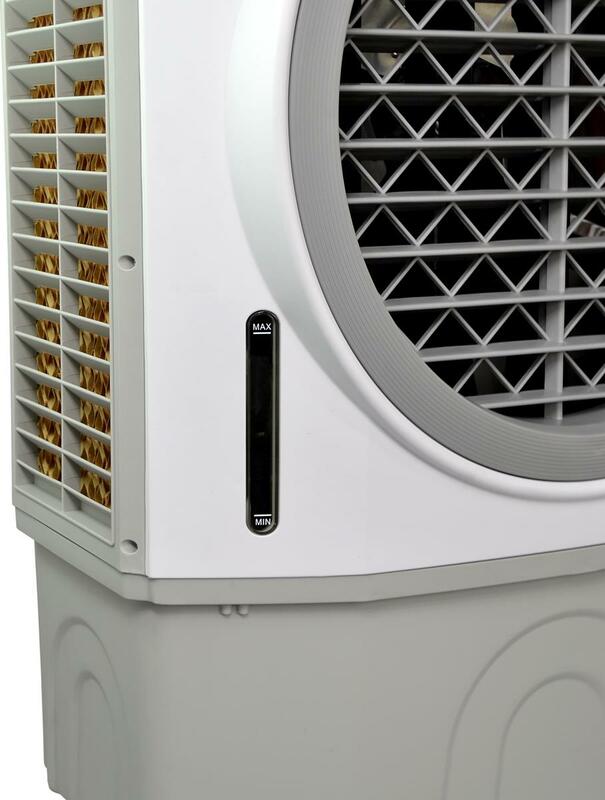 The EC220W can also be used in green houses and agricultural settings, plus, it connects directly to a standard garden hose if you require a continuous water supply. 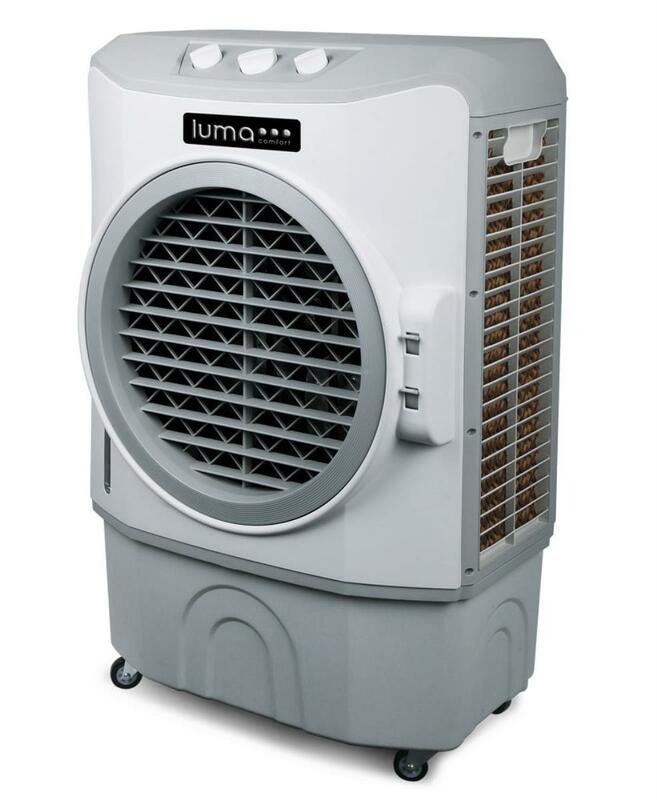 Even more, this unit is completely mobile and can be used in just about any indoor and outdoor area. 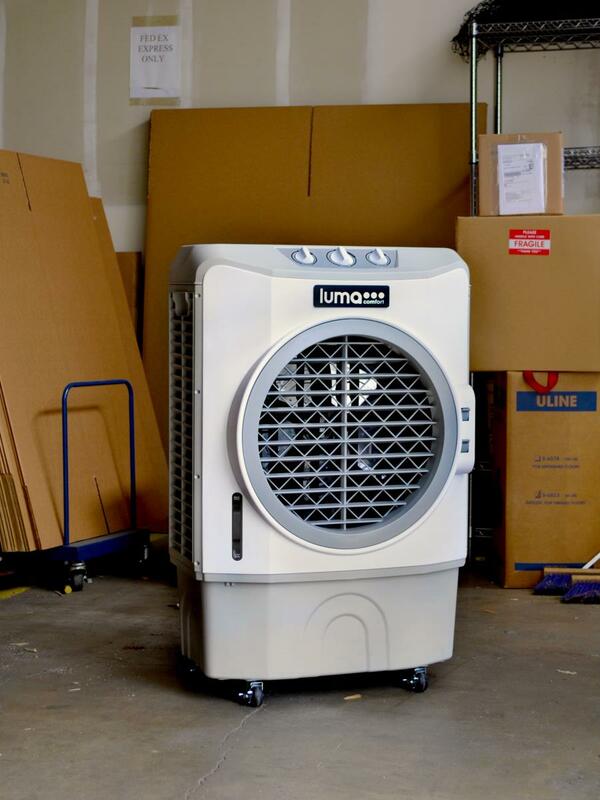 Equipped with 4 easy roll casters, the Luma Comfort air cooler is easy to move from place to place. 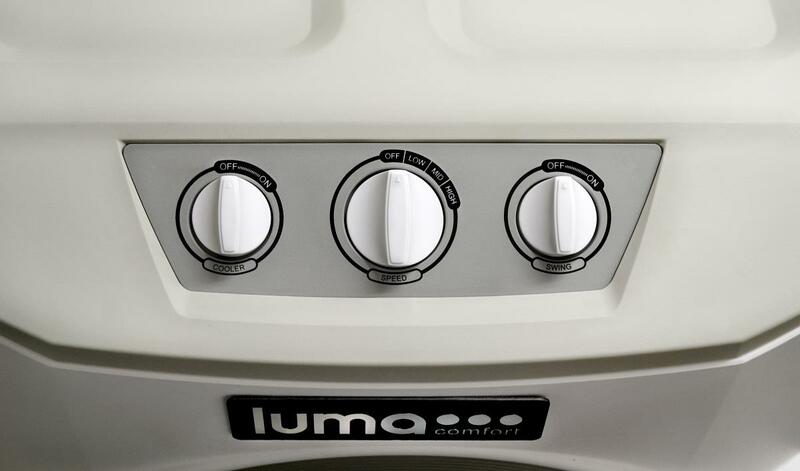 Simply lock the wheels to support the weight of the unit and be sure the lever is all the way up. 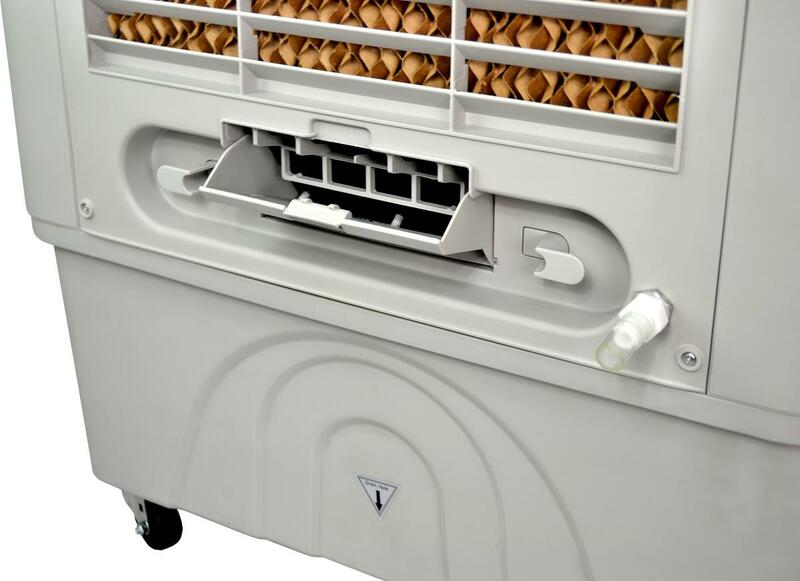 This will keep the unit firmly in place and prevent any unwanted movement. 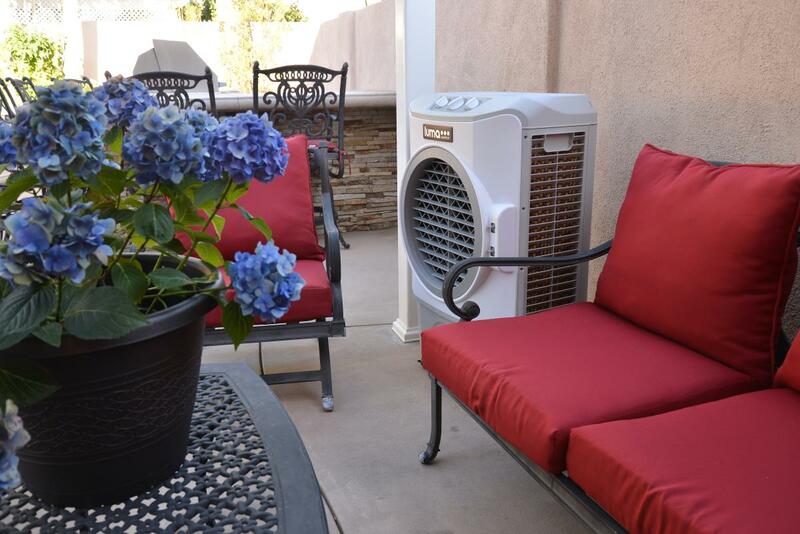 Economical & eco-friendly means of cooling--no freon! 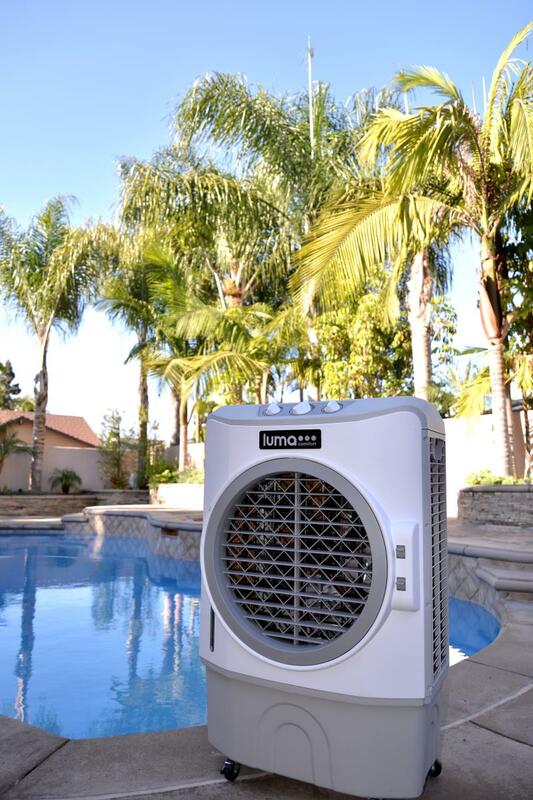 The LumaComfort EC110S evaporative cooler is perfect for commercial and industrial indoor or outdoor areas, pool areas, even large home applications. And, it's especially useful in dry climates since it cools the air and adds moisture at the same time. Order yours today!